Army receives tip that a hospitalized mental patient is, in fact, soldier Guy Hever, who has been missing since 1997. A number of army officials descended on a hospital for the mentally ill in the southern city of Rahat Monday after receiving a false tip that one of the patients was, in fact, Guy Hever, a soldier who went missing in the Golan Heights two decades ago. However, a brief investigation proved that the patient was not Hever. "The IDF is working tirelessly to solve the mystery of the soldier Guy Hever’s disappearance and will continue to do so until he is found," said the IDF. 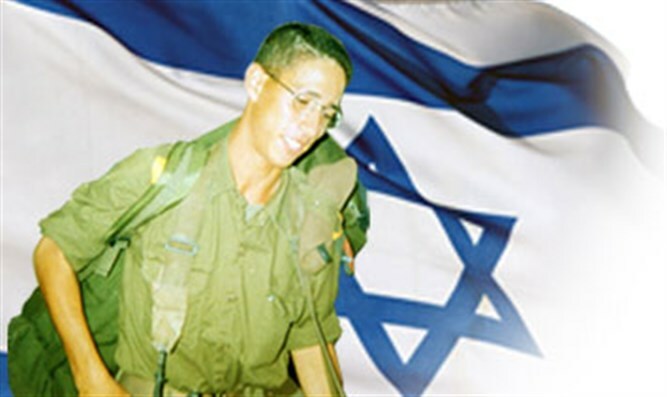 Hever, who was 20-years-old at the time, vanished from his Golan Heights base on August 17, 1997 and has not been seen since. His disappearance is considered unprecedented in the IDF's history. No other soldier has vanished during a period of such relative calm. Theories regarding the cause of Hever's disappearance have ranged from desertion to abduction by Syrian forces. Hever, from Nahariya, was last seen on his base in IDF fatigues and carrying his Galil rifle. He had been confined to his base against his will, and friends in his artillery unit say that he seemed troubled. Since then, there has been no trace of Hever. Hever's mother has been waging a long campaign trying to convince the public that Hever was kidnapped by the Syrians. Israel only recognized him as an MIA three years after his disappearance, in 2000. "The fact that he was never found means that he's not here. He's in Syria" she told Channel 2. "Guy is alive, in Syria, and will return one day. I live for that moment, and I am angry over my inability to shout more than I have about this, burn tires, set the streets on fire, and chain myself to a post outside the Knesset." In 2016, the IDF renewed its search for Hever and sent divers to check the reservoirs near where he went missing, to no avail. A German woman, Miriam Koinike, told Israeli police in 2010 that she met with Hever in a Syrian prison when she was confined there for 12 days in 2005. Her story has been backed up by former German Intelligence Chief Ernst Uhrlau and Dr. Mordechai Kedar, an Arutz Sheva columnist and Middle East expert, who then headed the Syrian desk in IDF Military Intelligence.